Welcome to "The Source," an e-newsletter exclusively for Student PSEA members. In each issue, you'll receive the latest updates from your association, advice from veteran educators, professional development offerings, and more to support you as an aspiring educator. Last month, more than 375 aspiring educators gathered in State College to learn, connect, and make a difference at the 2018 Student PSEA Conference and Convention. Attendees were inspired by 2017 Pennsylvania Teacher of the Year Michael Soskil, who delivered the keynote address. They also gained knowledge on a wide range of topics in educational sessions hosted by a variety of speakers, including veteran educators, recent Student PSEA alumni, experts in the field, and National Education Association representatives. In addition to personal and professional growth, the students also took time to serve. They embarked on one of the largest Outreach to Teach projects to date at the Tyrone Area School District, beautifying and making improvements at the elementary, middle, and high schools. Rounding out the conference, awards were presented, and future leadership was elected. See details below in the Kudos and Spotlight sections of this newsletter. To view more photos from this year’s Student PSEA Conference, visit the Student PSEA Facebook page or check out the photo collage in the May issue of Voice magazine. PSEA's Annual Summer Leadership Conference has been an opportunity for new, current, and future PSEA local leaders to acquire the skills they need to best represent our members. 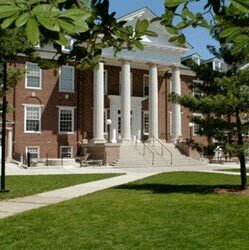 Held on the campus of Gettysburg College, this year's conference is scheduled for Sunday, July 22 through Friday, July 27, 2018. Student PSEA members will be able to further immerse themselves in the Association, networking and building relationships while also gaining professional knowledge and a greater understanding of how PSEA functions at a local, regional, state, and national level. Your participation in the Student School at the conference would serve as an additional bridge as you prepare to transition from your schooling into careers in education. The sessions will also enlighten you on current trends and issues in education and the importance of understanding their impacts on your chosen profession. Please note: Applicants must be 21 years of age or older to attend. A limited number of spaces are available as part of the Student School. At this time, PSEA will fund 22 student scholarships to attend Gettysburg. The process to apply is competitive, and your application will be reviewed with great attention to detail. Each year, the NEA recognizes the excellence of the student program during the annual Student Leadership Conference. Recognition is given in the following areas: Outstanding Local Advisor, Outstanding State Organizer, Outstanding Local Student Leader, Jeffrey "J.D." Miller Outstanding Underclassman, Outstanding State Student Leader, Local Excellence, and State Excellence. More information and forms can be found here. All nominations, applications, and supporting documents must be submitted, postmarked, or received in the NEA Student Program office (1201 16th Street NW, Washington, D.C. 20036) on or before May 15. Nominations may be sent electronically to neasp@nea.org. "Rigor for our students is always increasing, but as educators, we need to find creative developmentally appropriate ways to present the information. This means thinking outside of the box. We need to keep the joy in learning for our students!" --Jessica Miller, kindergarten teacher in Conewago Township Elementary School. Miller’s innovative Discovery Room program was highlighted in the regular Voice magazine feature, “Learning Lessons: Great ideas, Great schools,” in May. Check out the video here. Congratulations to the attendees of the 2018 Student PSEA Conference and Convention. You raised more than $1,800 for PSEA-PACE! 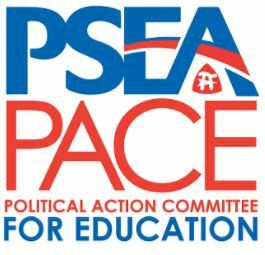 Since no dues dollars go to PSEA-PACE, your voluntary contributions help us to elect pro-public education candidates in state and local elections. To learn more, visit www.psea.org/pace. Kudos to the award winners from this year's Student PSEA Conference and Convention! The Student PSEA Outstanding Chapter Faculty Adviser Award recognizes individuals for dedication and service to the PSEA Student Program at the chapter level. The award was presented by Marie Hutchings, Student PSEA president. The Student PSEA Outstanding Servant Leader Award recognizes individuals who have achieved excellence throughout the year by providing leadership at the region or chapter levels. The award was presented by Marie Hutchings, Student PSEA president. 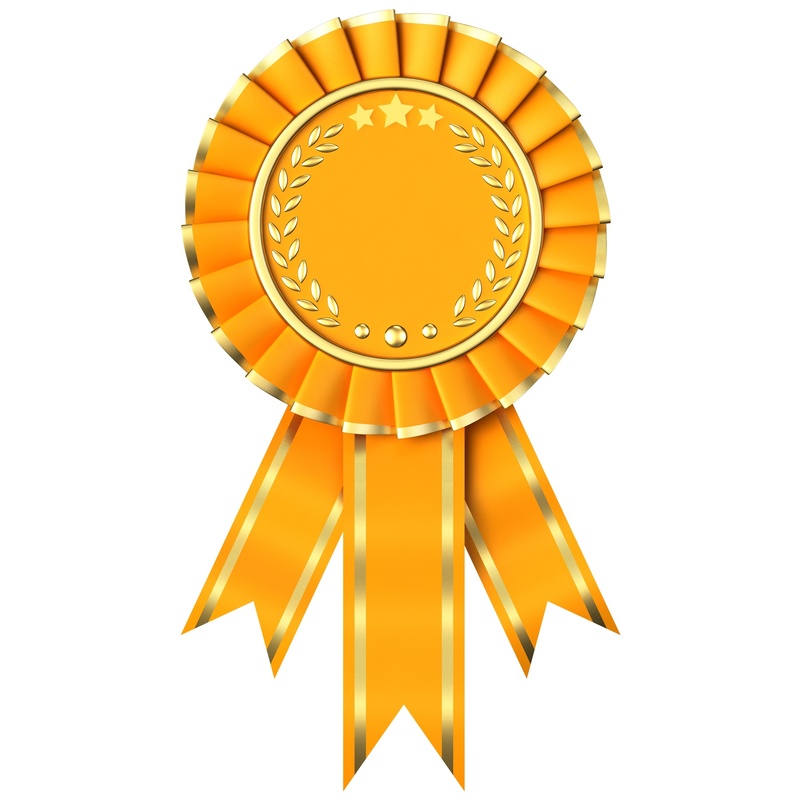 The Student PSEA Exceptional Underclassman Award recognizes a freshman or sophomore who has achieved excellence throughout the year by providing leadership at the region or chapter level. The award was presented by Marie Hutchings, Student PSEA president. Connect with Student PSEA on social media! For the most up-to-date list of offerings, visit www.psea.org/calendar. This message is intended for PSEA members and their families. You are subscribed to The Source. Manage your email subscriptions at www.psea.org/MyPSEA.